Whether you can’t stand clutter, need to make your room multi-purpose, or just want a unique design element, consider hanging your furniture like the Shakers did. 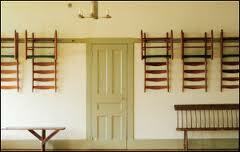 The Shakers began the tradition of hanging their furniture with wall-mounted pegs when the furniture wasn’t being used. This techniques is used more and more often in small living spaces. Need spare chairs for company? Don’t have a place to store them when they’re not being used? How about your walls? 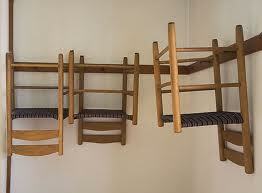 You might also consider suspending them from the ceiling. All you need are some sturdy hooks. Place all ingredients in crock-pot. Cover and cook on low 8 hrs. Remove bay leaf and puree soup. Ladle into bowls. Top with croutons and cheese. CRAFTS WITH ANASTASIA-- GET ORGANIZED! Have you noticed the proliferation of articles in magazines lately about organizing your clutter? These seem to crop up every year right after New Year’s, probably because getting organized is one of those resolutions so many people make and break. The articles appear again in the spring for the traditional spring cleaning frenzy. If you’ve been reading the Anastasia Pollack Crafting Mysteries (those books about yours truly,) you know that I had to give up my dedicated studio above my garage to rent out for additional income. I’m now crafting on some card tables in the basement. However, Lois Winston, the author who writes those books about me, has agreed to offer some of her organizational tips. You see, Lois is not only a published author, she’s a craft designer, too. (which is probably how she came up with the idea of creating me,) and if juggling two full-time jobs wasn’t enough, she also works for a literary agency. Rumor has it, she doesn’t sleep. So Lois needs to be super organized in order to accomplish all that she does in a day. Today I’m asking her about her craft room. Anastasia: Describe the room where you do your designing and crafting. Lois: Because, as you mentioned, I juggle three careers, my craft room is both a crafting studio and an office where I do my writing and handle agency business. I have a large L-shaped desk that fills one wall and wraps nearly all the way around a second wall. This affords me a place for my computer and printer, plus a large surface for working on craft projects. One wall of my room is taken up by a double closet. My husband took out the clothes pole and added wooden shelves that run the length of the closet. This is where I keep most of my craft supplies. The rest are in the bottom cabinet sections of two wall units. Books fill the shelves above the cabinets. I also have two bookshelves that sit on the desk. The bookshelves hold copies of craft books where my designs have appeared, my novels, and lots of research books for both crafting and writing, as well as the overflow of novels that no longer fit on the bookshelves in the living room and den. Anastasia: Given that you’ve banished me to the basement, do you feel it’s important to have a dedicated craft space? Lois: Sorry about that, but you did need a new stream of income, and now you have the hunky Zack Barnes living above your garage. Lois: Anyway, getting back to your question, having a dedicated space for creativity enables me to work without interfering with other family members. I can spread out and make a mess without having to worry that I need to clean everything up and put away my project and all my supplies because the space has to revert back to being the kitchen, dining room, or den at a specific time. Anastasia: I remember those days. How do you organize patterns, fabrics, floss, notions, and and all the embellishments you use in your designing? Lois: I’m a big fan of plastic storage containers. They come in all different sizes and can be stacked for easy storage. I have three extra-large bins for cross stitch fabric, felt, and sewing fabric. Medium sized containers hold floss, paint, ribbons, glue gun supplies, etc. Smaller ones hold everything from pom-poms to specialty threads, to beads. I use very small plastic containers to store needles, sequins, etc. I also use magazine holders to keep my patterns and leaflets organized. 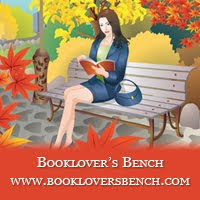 Anastasia: Do you have any organizing tips for our readers? Lois: If you have a huge collection of floss as I do, it can take forever to find the floss color/number you need for a specific project. I’ve separated my floss into basic colors -- red, pink, green, blue, brown, purple, black/white/gray and yellow/gold/orange. Each group goes into a zippered gallon freezer bag. All the bags go into an extra-large plastic storage tub. When I need a specific color, I only have to look through one bag rather than rake through all my floss. Another storage tip is to separate your fabric in the same manner. I use a lot of sewing fabric in my crafts. I separate the fabric by solids, floral prints, geometrics, and holiday prints. The fabrics are folded into dedicated piles before being placed in a large plastic storage tub. Another tip is don’t buy in bulk unless you really have the storage space. Yes, it’s tempting to get a better price on batting if you buy a case rather than one package, but if it’s going to take you five years to make all those quilts, both your money and space could be put to better use. Most importantly, don’t be a hoarder. If you haven’t used that macramé cord from 1982 by now, chances are you’ll never use it. Donate it to someone who can use it, thus freeing up storage space for yourself. Anastaisa: How do you maximize the space in your room? Lois: I try to be as neat and organized as possible, but I don’t always succeed. Deep down, I’m a clutterbug. Every few months I go on a tidying up spree. Since I design for magazines, the products I use in my designs have to be readily available to consumers. Products get discontinued all the time, and I can’t feature discontinued products in my designs. So I’ll collect the discontinued supplies and donate them, thus freeing up storage space for other supplies. 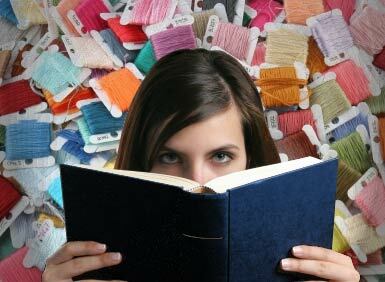 Anastasia: What organizing tips do you recommend for someone who can't dedicate an entire room to crafting? 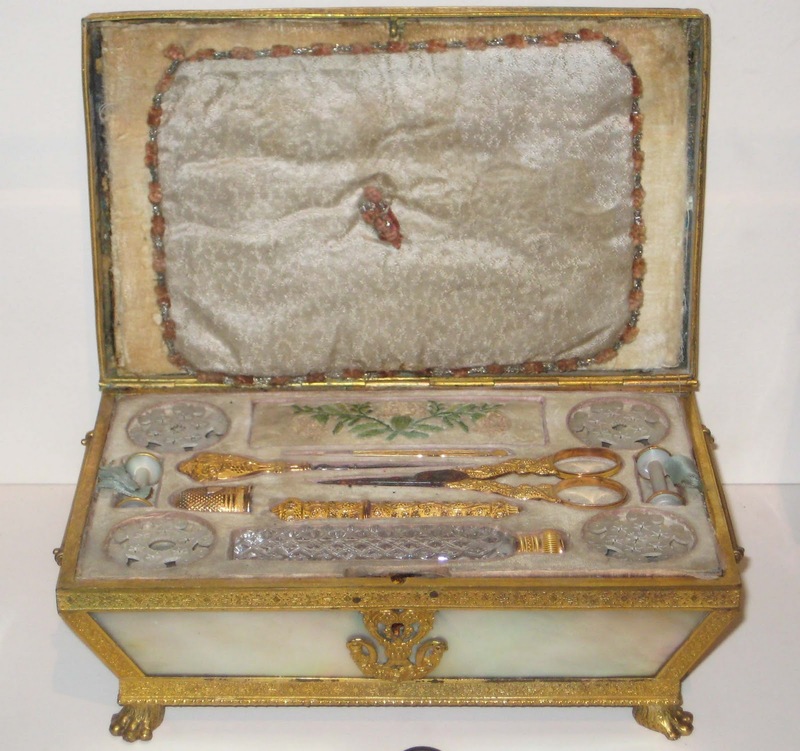 Lois: This really depends on the type of craft and the storage space in the home. I don’t think there’s a simple answer to this question. If there’s room for it, an armoire with drawers, shelves, and a drop-down desk would be an ideal solution. When closed, it will look like a piece of furniture in a bedroom, dining room, living room, or den. Anastasia: Any advice for someone starting or re-doing a craft room? Lois: Plan ahead. Think about your needs -- what you want to store and how you’ll use the room -- before you buy any furniture and storage items. Anastasia: Thanks for joining us today, Lois! Now get back to writing, and find a way for me to win the lottery. Lois: Sorry, not going to happen. If I did that, the series would end. I’m afraid you’re stuck in financial hell for some time to come, given that there will be at least three more Anastasia Pollack Crafting Mysteries to come. Anastasia: So I guess that’s a good news/bad news sort of thing, huh? 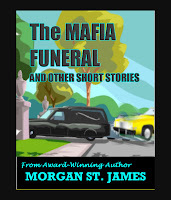 Thanks to all who stopped by this week, and a special thanks to Morgan St. James, our Book Club Friday guest author. 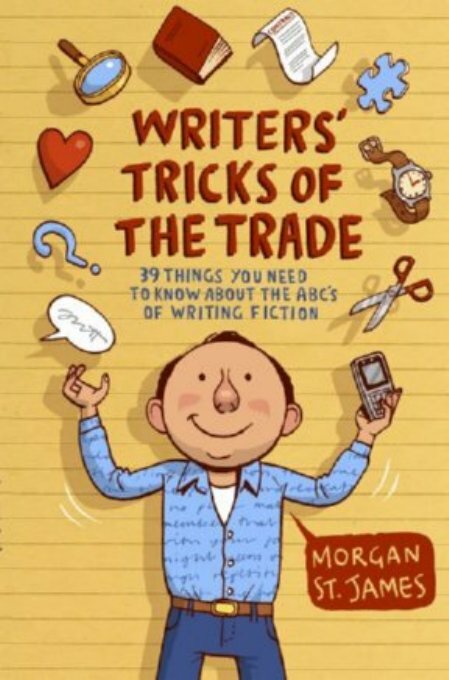 Morgan offered a copy of Writers' Tricks of the Trade to one of our readers who posted a comment this week. The winner is W. Lynn Chantale. Please send your mailing address to anastasiapollack@gmail.com so that I can forward it to Morgan. Morgan St. James is the author of Writers’ Tricks of the Trade: 39 Things You Need to Know About the ABCs of Writing Fiction, numerous award-winning short stories, some of which are in her new anthology The MAFIA FUNERAL and Other Short Stories, and she co-authors the comical Silver Sisters Mysteries with her sister. 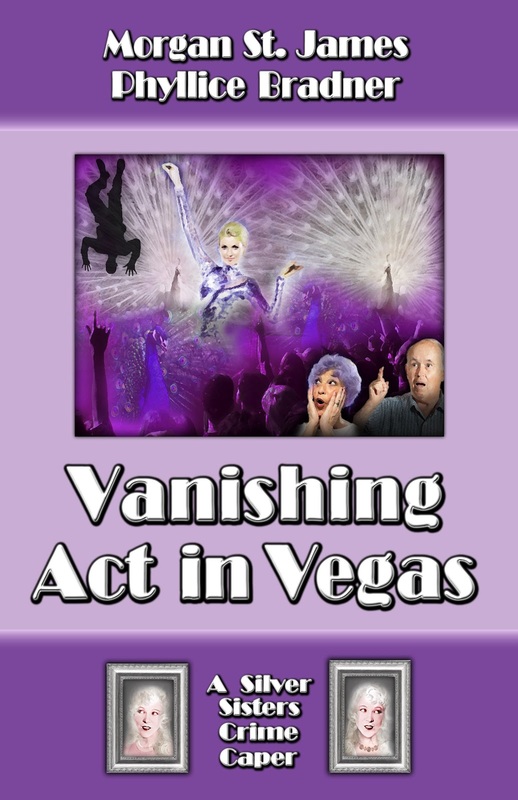 The third funny crime caper, Vanishing Act in Vegas was released this past September. Morgan also writes columns for the Los Angeles and Las Vegas editions of www.examiner.com, edits Writers’ Tricks of the Trade E-Zine and is a frequent speaker. Learn more about Morgan at her two websites, www.morganstjames-author.com and www.silversistersmysteries.com and her blog. As an author, it is important to consider your characters’ professions relative to the story you want to tell. What do these people actually do in their day-to-day lives? How could it affect the progression of your story. To lead your characters where you want them to go, you have to know them inside out. That way you can use their profession in keeping with their personality strengths or failures, and they might do unexpected things. Selecting professions for your characters is one of the most important decisions a fiction writer can make. Will they respond in a way normally expected of someone trained to do what they do? Will they go “over-the-top” or perform in a scared or devious manner? Each reaction is the basis for an entirely different story, but once the theme choice is made the character still operates under the umbrella of their profession, whether it is positive or negative. Maybe they act totally outrageous while doing something they must in order to move the action in a certain direction. If that’s the case, be careful not to lose the believability factor. If the author goes too far afield, it might work, but that means taking a great risk. Considering the storyline, perhaps they need a different profession for the reader or movie-watcher to believe what happened really was possible. I can think of many instances when I’ve read a book or watched a movie and either thought or said something like, “No way. 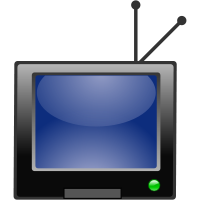 A [fill in the profession] would never do that!” A good example is the TV series “House.” It has beaten the odds and is quite popular, but a hospital would never keep a prescription-addicted doctor on staff who behaved like House. My friends in the medical profession insist the hospital would be too afraid of malpractice suits. The scripts are developed by a team of writers and Hugh Laurie carries it off and makes it work. Reading the same scenarios in a book without a great actor to mesmerize the reader, something that off-base could backfire. Worse yet, they might tell their friends how unbelievable it was. Doubts could cause them to lose confidence in the entire story. Things that aren’t 100% accurate, still have to have a ring of believability. The reader has to trust that the author knows what they’re talking about. Themes play a big part in the credibility of a story, because more often than not they are related to the profession or professions of main and supporting characters. Take any given situation and the characters would all probably have different reasons for acting a certain way, despite their training. So, whether the story or the characters come first, be sure you know what would motivate them to do what they do, how they would do it and why. Take a cop for example. A cop might be more compelled to aggressively force order than a hair stylist. Maybe he is fighting an inner rage, and let’s face it—his weapon is a gun, not a hair dryer. But then, maybe the hair stylist holds a black belt in karate. It’s always good to have a surprise, and the characters’ professions can help to create it. Sometimes ordinary people wind up in extraordinary circumstances, and that is often the fuel that fires the story. You know how a character in a given profession is expected to act, consider what would happen if he/she doesn’t react as expected. Here are two examples of characters in the same professions and same circumstances, but their reaction dictates the rest of the story. Two thugs assault a middle aged man as he enters an alley, ultimately killing him. A cop witnesses the incident. A cop who has only been on the job a few months exits the back door of a restaurant into the alley and he sees two thugs assaulting a middle-aged man. He reacts like Rambo, springing into action, gun drawn. This is what he’s trained to do. His adrenaline takes over when he realizes these guys are about to kill the man. He jumps right into the action. However, despite his quick response, the man dies. Now he spins out of control and becomes an abusive cop. His inability to save the man unleashed long-buried rage emanating from a different source. The cop enters the alley from the restaurant’s rear door and witnesses two thugs assaulting a middle-aged man. He watches for a moment, frozen with fear. 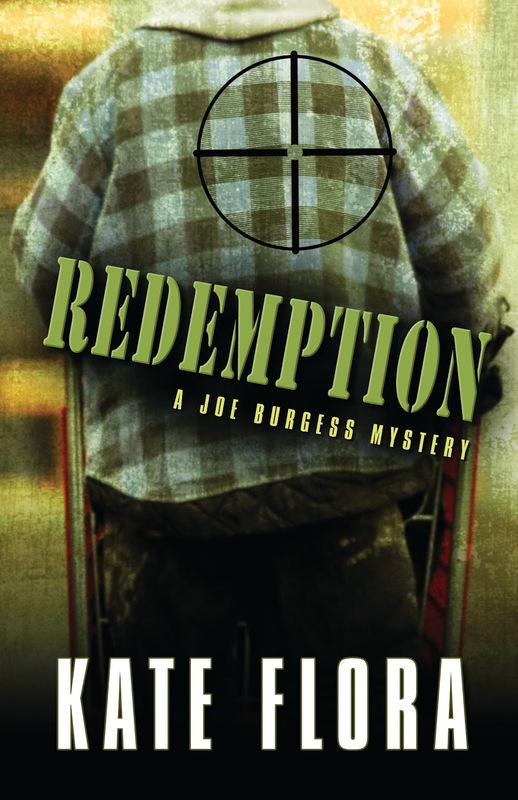 He darts behind a dumpster, quaking in his boots while the man is murdered in front of his eyes. Unable to face what he’s done, he sinks deeper and deeper as he tries to cover up his cowardliness with a series of lies. He paints himself as a dedicated servant of the people who tried to save the man. Only he and the thugs know what really happened, and they sure aren’t about to come forward. Unable to reconcile what he did, the bottle becomes his solace as he struggles through life. SEE HOW THEY DIFFER BECAUSE OF THE THEME AND WHAT THE CHARACTER DID? Both stories were affected by what someone in that profession is supposed to do. The themes were what he should have done vs. what he didn’t do, and in both instances a less than perfect ending. However, both suggest believable scenarios. Writers have a certain amount of creative license, so it’s okay for things not to be 100% accurate, but totally unbelievable situations just don’t fly. Believability is an essential element that allows the reader to trust that the author. Mostly when we write about our travels, we’re talking about exotic locales and intriguing landscapes. Gorgeous beaches with sugar-white sands or the Golden Gate Bridge swathed in fog that’s illuminated a brilliant gold by the setting sun. 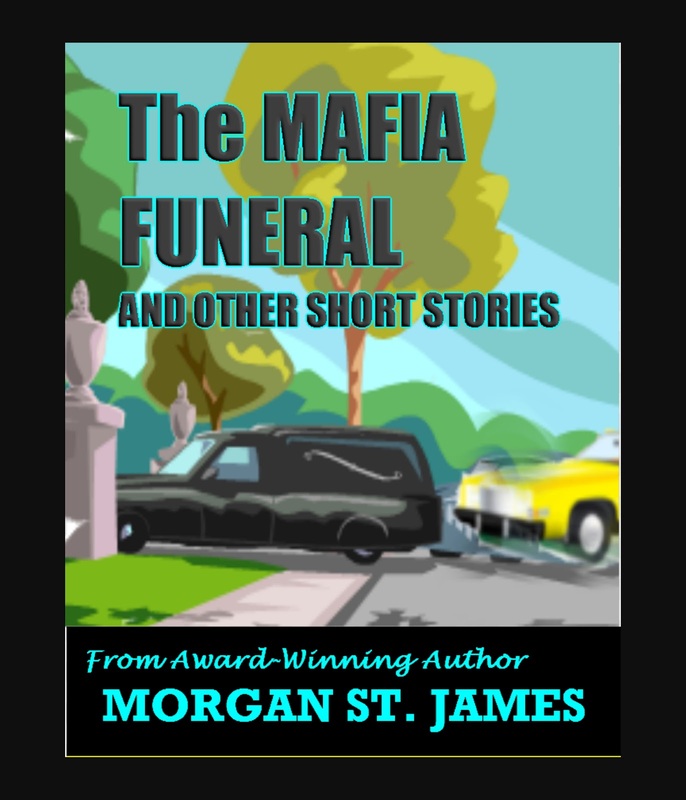 The settings mystery writers find themselves in, in the interest of doing good research, are often very different and far less glamorous. It’s a gray, chilly day in Florida, and I’ve just gotten off a bus in a stretch of flat, empty land west of Ft. Lauderdale. 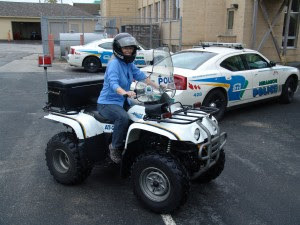 It’s a chance to shoot guns arranged as part of the Florida MWA’s mystery writing conference, Sleuthfest, and my travel companions include the wife of the incomparable Connecticut forensic expert, Dr. Henry Lee. In a slow line, we enter a squat cinderblock building where we are handed earplugs and safety glasses. Then we file out the other side, where an overhanging porch is lined with shooting stations. In front of us are rows of targets. And some of the NRAs best instructors are waiting to help us choose guns and learn to fire them. This is not a place I ever expected I’d be, nor a thing I ever expected to do. But the world of crime is also the world of guns, and I’m planning to write a police procedural. There is an awesome array of firepower here, but I’m a timid sort, and smallish. I want something that will fit in my hand and won’t have too much kickback or muzzle-flash. Carefully coached by my expert, I choose a gun and manage to do a respectable job of killing my target, even though I’m terrified every time I pull the trigger. Then we go inside, turn in our gear, and eat barbecue, beans and cornbread. Mystery writers are the best, and we’re all excited about the opportunity we’ve just had. And when my character, Thea Kozak, fires a gun in Liberty or Death, I will know what she’s experiencing. When I started writing mysteries, I thought what a writer did was sit at her desk and imagine. Now I am driving around in the dark, on the back streets of a small New England city with a population that’s in flux from white working class to immigrants from many nations. My guide for the evening is older, beefy, and garrulous. As we poke through the parking lots of industrial buildings and circle a fabulous gym complex where the Celtics train, I’m asking, “What are you seeing?” and other questions to guide me in creating a credible cop. Suddenly, he says, “Lately, I’ve started noticing women…” and the conversation heads in a strange and somewhat uncomfortable direction. Another night, another cop, another state and another city, the streets fall quiet around us as the hour grows late, and we talk about the intersection of Catholicism and the draw toward police work. The conversations are amazing, and strangely intimate, and I know that I am being given the gift of their confidence. I don’t know if they know how much they are teaching me, or how important it will be to my writing. It’s a warm October day when I leave home for my rendezvous in Portland, Maine, with the police lieutenant who is going to walk me to the crime scene in the true crime, Finding Amy, that we are writing. As I drive, the sky goes gray as a fogbank rolls in, and the temperature plummets. Glad that I am early, I detour to the local Goodwill and buy a warm jacket. Then we meet up. And as the afternoon deepens into darker and darker gray, and at the same time of year that Amy St. Laurent disappeared, we park at the end of a crumbling tar track heading deep into the woods, the way blocked by piles of debris, and head toward the spot where her body was buried., As I walk where she walked and approach the spot where she probably died, the woods are dark, quiet, and gloomy. This time, I’m traveling to the dark side of the imagination as I stand and stare at the gravesite, still visible two years later. A hard, but important set of images to carry back to my desk. The book I’m finishing, Death Dealer, is also a true crime, and the body was found off an ATV trail deep in the Canadian woods. I’ve told the detective I’ve been interviewing that on my wish list would be to travel into the woods on a four-wheeler so I could get a feel for distance, and the complex layout of the trails, and what the site looked like where the body was finally found. He says he’ll take me, and the next thing I know, he’s backing a police four-wheeler out of the garage. Then he backs out another one, and hands me a helmet. Hey, I think, don’t you know? I’m just a timid suburban housewife. But he knows what I’m thinking, and he just grins. He shows me gears, and brakes, suddenly we’re off, driving down the city street to the beginning of the trail system. Some time later, I confront a steep bank, and a sharp turn, and I nearly end up in a brook. I think my wrist is broken. I have tears in my eyes from the pain. But here is where a familiar sports expression is useful: no pain, no gain. So I grin and bear it, and drive back to the police station. Because now I’ve been given the tools to imagine it. I’ve seen the gravesite with the tilted cross still decked in fading memorial ribbons. The rusted blue truck body. The sentinel tree. And now, when I write it, perhaps my readers will see it more clearly, too. I’ve walked through tick-infested fields to watch search and rescue dogs train. I’ve perched on a rock deep in mosquito infested woods, posing as a victim to let the search dogs find me. I’ve stood in old abandoned army training facilities and watched cadaver dogs search. I’ve been shut in a morgue cooler after a playful medical examiner closed the door and shut off the lights. These are not places I ever expected to go. I’m standing on the waterfront in Portland, the shrill of seagulls overhead, the slosh of waves around the pilings of the wharf under my feet. Out in the channel, big gleaming red tugboats are steaming past. Then a Portland fireboat. Boats rock at their moorings, the rigging on sailboats clangs. The scent of the sea is strong. Refreshing, not unpleasant. And I’m gazing down into the churning water, imagining a floating body down there among the clusters of dark green seaweed. 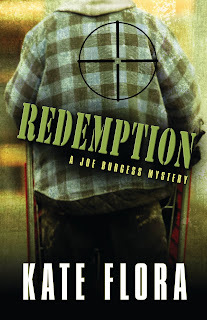 I’m getting ready to write Redemption. Thank you, Kate, for a fascinating look into author research and places none of us will want to add to our vacation wish list! I’m a big fan of repurposing yard sale and flea market finds. 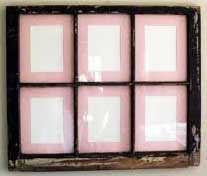 One of my favorite items is old wooden windows. Their size is perfect for large wall spaces, and you can decorate them in any style to fit your décor. If you’re into shabby chic, you won’t even have to strip, sand, or paint the wood. If you’d prefer a more traditional look, strip the wood and stain or paint it in a color to match your room. Now, you’re probably thinking what do I do with the window after that? Just hang an old window on my wall? Well, you could. But you can also swap out the glass for mirrors, or use the individual panes as picture frames for a collage of photos or artwork. 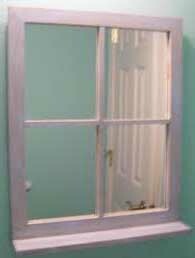 Add a strip of wood to the bottom of the window for a small shelf, or attach hooks, and use the window in your hallway as a coat hanger. Cut four pieces of parchment paper, each approximately 15” square. Place one chicken cutlet in the center of each piece. Top with 1/4 cup mangoes, 1/4 cup pineapple, and a slice of lime. Sprinkle with a teaspoon of onion flakes, paprika, and salt. Drizzle each with 2 teaspoons olive oil. Fold up the parchment paper, tucking ends under chicken. Place in shallow baking pan or cookie sheet with sides. Bake at 400 degrees for 20 minutes. Carefully unwrap parchment to prevent steam burns. 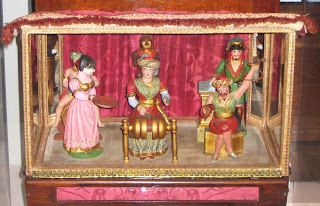 Automata, mechanical figures, have been around since ancient times, but the golden age of automata was during the Victorian era. Murtogh D. Guinness, of the brewery Guinnesses, was a collector of automata and mechanical musical instruments. 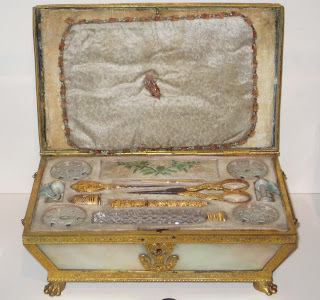 His 700 piece collection was awarded to the Morris Museum in Morris Township, NJ. 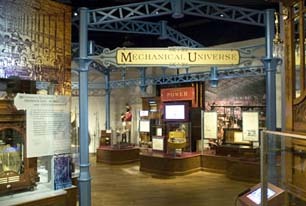 Over 150 pieces are now on permanent display in an exhibit called Musical Machines & Living Dolls: Mechanical Musical Instruments and Automata from the Murtogh D. Guinness Collection. I recently had the chance to explore this incredible exhibit. As I’ve mentioned many times, crafting comes in all shapes and forms. Automata and mechanical musical instruments incorporate art, craft, science, and engineering into spectacular pieces of entertainment. Think back to a time before television, radio, movies, and the Internet. 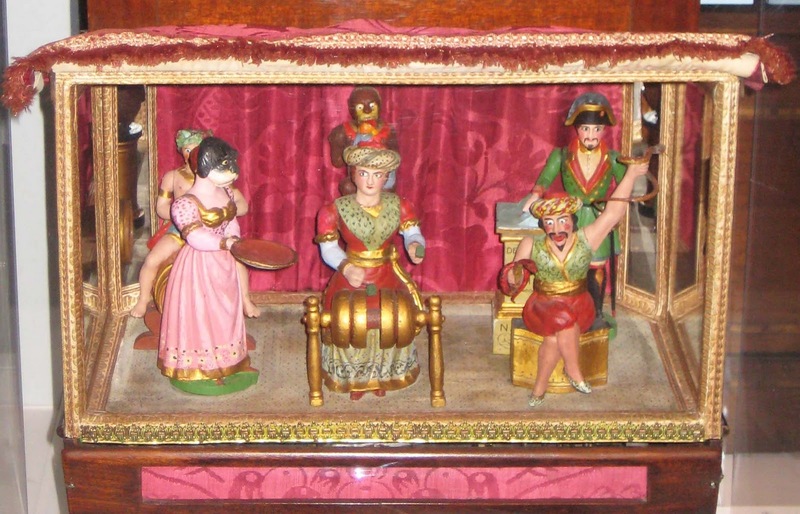 Aside from live entertainment, people were entertained by mechanical music boxes and automata. 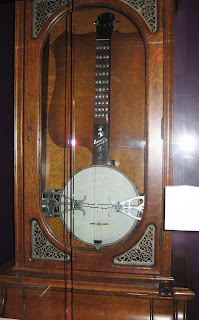 The techniques used to make these intricate devices were the precursors of the record player. 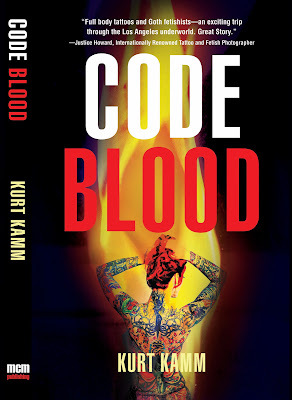 Thanks to all who stopped by this week, and a special thanks to Kurt Kamm, our Book Club Friday guest author. Kurt offered copies of each of his three books to one of our readers who posted a comment. The winner this week is Pat Marinelli. 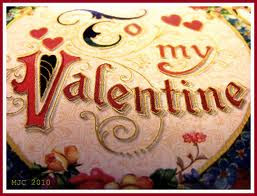 Pat, please send your mailing address to anastasiapollack@gmail.com so that I can forward it to Kurt. 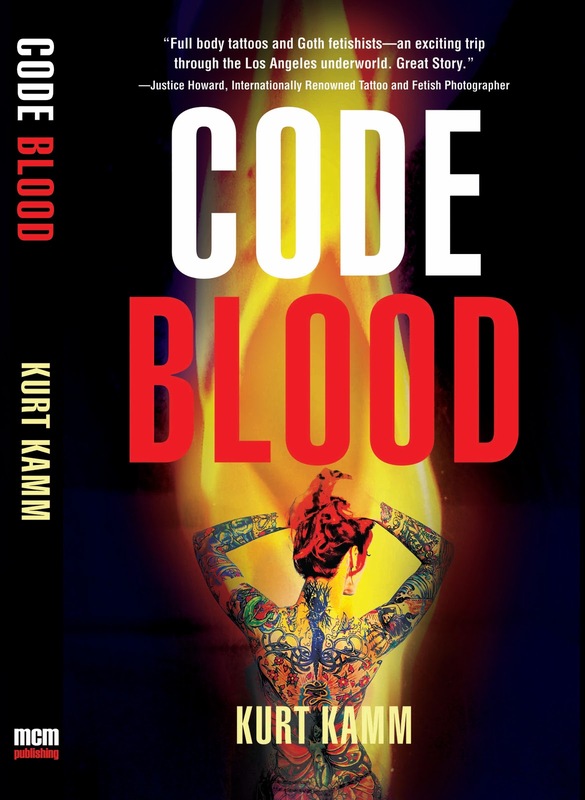 Award-winning author Kurt Kamm has used his experience in several devastating local wildfires and attendance at CalFire and Los Angeles County Fire Department academies to write novels about the lives of firefighters and paramedics. Visit his website for more about him, along with additional firefighting details and some stunning pictures. What is a Nike Missile? When I moved to Malibu in 2005, one of the first things I saw was a Los Angeles County Fire helicopter landing on the lawn of Pepperdine University. As I watched, several firefighters, dressed in full wildland gear, stepped out. Their craft was a Blackhawk attack helicopter, modified for firefighting use. It is an impressive and awesome helicopter, and carries a 1,100-gallon water tank for aerial drops. After seeing the men on this "bird," as the firefighters refer to their helicopters, I thought it would be fascinating to write a novel about the life of one of these "helitack" firefighters. 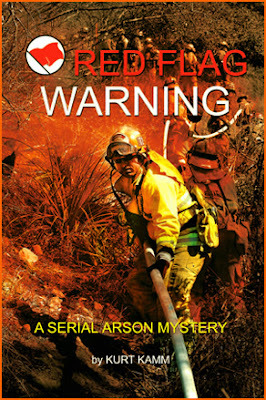 I learned that in the hills of Malibu, Los Angeles County Fire Department maintains Fire Suppression Camp 8, one the helitack camps. I was allowed to attend the 4-week recruit training academy, and the result was my novel about wildland firefighters, One Foot in the Black. 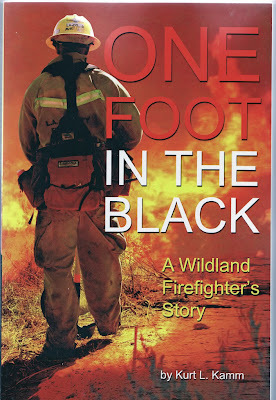 "One foot in the black" is a position on the wildland fire line which is next to an area already burned ("the black.”) It is at once the most dangerous place, usually close to the flames, and the safest place, a zone into which escape is possible. In the story, Greg Kowalski, a new recruit arrives at the training academy. Jerry Dunham, an Engineer at the Camp, greets Greg and says, "C'mon, I'll give you a quick tour. Know anything about this place?" Dunham tells him, "It was a Nike launch facility, built in the fifties." Few people today remember the Nike missile and the related launch facilities. Many people living in Los Angeles, as well as other cities, have no idea these sites ever existed, and that some of them are still intact. Beginning in 1953, Nike missiles were deployed at 250 sites around several cities and strategic locations. There was great controversy, since most communities did not want the missile sites in their backyards. In many cases, the U.S. was forced to take legal action before it could construct the sites. The missile was named after Nike, the Greek goddess of victory. The early version, the Nike-Ajax had high-explosive fragmentation warheads. The later version, the Nike-Hercules, was a 27-foot missile, which carried nuclear warheads. 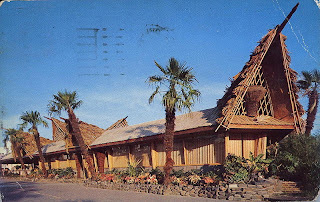 There were six sites around Los Angeles. They were manned by Army troops (not Air Force) and were heavily guarded. No Nike missiles were ever fired from sites in the U.S. In 1974, after signing the Strategic Arms Limitation Treaty (SALT) with the USSR, the Nike sites were decommissioned. In the Los Angeles area, these sites were given to the County for use as fire camps. Today the remnants of the site at Camp 8 in Malibu are still evident. Eighteen missiles were stored in underground silos protected by five-foot thick cement walls. Hydraulic platforms lifted the missiles into launch position. Camp 8 now uses one of these bunkers as a woodworking shop and lowers plywood up and down on the launch platform. The old Army barracks, mess hall and offices are still used by the fire crews for the same purposes. Some of the kennels for the guard dogs, German Shepherds, are still intact. One dog's name, Thor, is still visible above his kennel. Warning signs with peeling paint can still be seen. The nautical look has been rocking the fashion boat for almost every spring and summer season over the last decade, and 2012 doesn't fail to indulge in the whimsy of this fashion escapism. When the deep winter blues slowly dissipate to allow for the fresh pastels of spring, the season's fashion colors lend themselves to dreams of summer holidays, warm sandy feet and cocktails in hand. What better style could possibly be associated with the on-coming summer months than an ensemble fit for sailing the seas to your fantasy island? In terms of fashion, the nautical look originated in the 1940s, when the average housewife would dream of escaping her daily routine, the mundanity of suburbia and the menial housework, for exotic lands and unexpected frissons in the summer twilight. The nautical look really took off when film became more readily available to the working classes, especially in the USA. 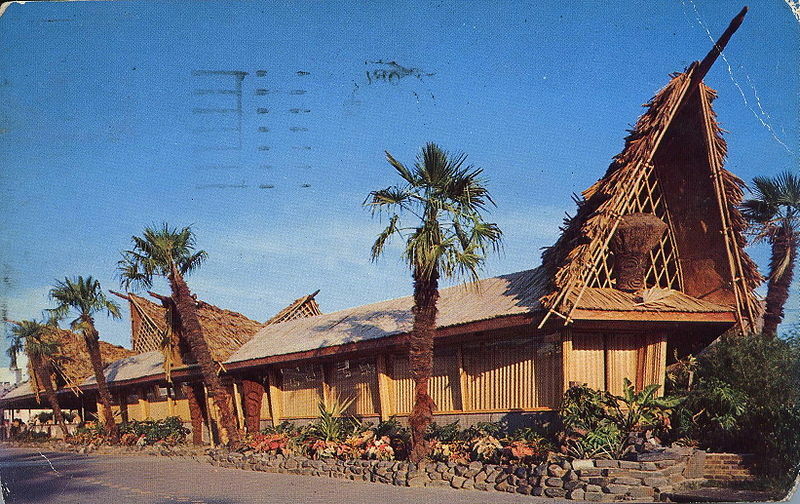 In the 1960s, America looked to Hawaii as a main get-away location. Many directors were smart to see the influence this newly appointed 50th American state was having on the nation, which lead to Elvis Presley starring in a trilogy of Hawaiian-based musical comedies, most notably “Blue Hawaii”. 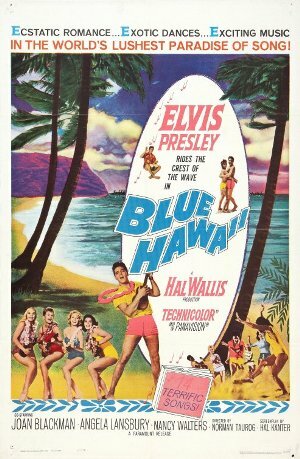 The sultry swaying hips of the Luau Hula girls, idyllic carefree landscapes and images of suave, slick-haired Lothario dream-boats were a welcome distraction to both women and men alike - and to reach your dream destination, you would need an outfit that simply said "I can and will travel". Given the current economic state of affairs, it’s undeniable that we’re all focusing our daydreams once again, to escaping to sunnier climes. Whether you’re planning a luxury Med cruise holiday, a ferry trip to a neighboring island, or even just a romantic (yet wobbly!) sail on your local boating lake with your beau, ensure you look the part with these simple and traditional style-tips for a nautical look that will definitely say “I can and will travel”! The first and foremost iconic symbol of the nautical look is the anchor. The anchor is often used as a symbol of a fresh start and hope – which is a wonderful subtext to your choice of outfit! A great way to get a hint of the nautical theme into your wardrobe is to accessorize with jewelry. The main street provides a plethora of anchor shaped earrings and brooches. Also look out for simple navy blue tops and blouses decorated with embroidered anchor motifs – cute and stylish enough to be worn at the office to really give your work day outfit that little something special. Bell bottom trousers may remind us of the 1970s, but they were first commandeered by the US Navy as a requisite of the work uniform. Although it may be difficult to find true “bell bottoms” (with a rounded hem at the bottom) on the main street, there are many stores selling skinny-fit wide-legged trousers. They’re comfortable and airy – perfect for summer. Team together the bold colors of Navy Blue, Lipstick Red and White for an instant nautical look. Try red espadrilles with blue cotton Capri pants and a white blouse for an implied nautical feel. Horizontal stripes are a must for the nautical look, blue and white being the most popular design you will see this season. Whether the stripes are chunky and bold, or verging on pinstripe, the choice is yours. It has been said that bold, horizontal stripes on clothing are an instant slimming quick-fix, so keep that in mind when choosing between stripy prints. An often overlooked, yet very traditional element of the sailor style is tattoo art. Tattoos were once the reserve of tribal folk, yet of recent years, tattoos have undoubtedly been embraced by mainstream culture, and their influence can be seen in design of every type. 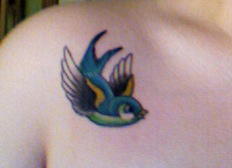 The “Swallow” bird is heavily associated with sailor tattoo art. It was used as a permanent emblem of exactly how seafaring a sailor had been. Legend has it that each swallow tattoo indicated the sailor in question had traveled 5000 nautical miles. Look for swallow prints in dresses and t-shirts for a statement of freedom and independence in your nautical style. 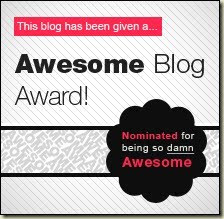 It’s always a happy day when someone recognizes our work, and today is one of those days. 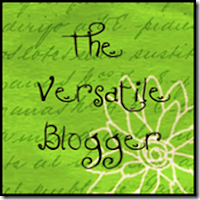 Killer Crafts & Crafty Killers has been granted The Versatile Blogger Award by author Nancy J. Cohen. Thank you, Nancy! 2. Author Lois Winston really does hear voices in her head, especially mine, but sometimes I have to scream at her to get her to pay attention to me. 3. Lois and I have many things in common, chief among them the fact that neither of us can carry a tune, but that doesn’t stop us from singing. We just do it in the privacy of Lois’s office when no one else is home. 4. One of us grew up wanting to be an astronaut, but NASA wasn’t interested in vertically challenged, math challenged astronauts prone to motion sickness. Go figure! 5. We both hate peanut butter. 7. Lois also saddled me with a communist mother-in-law because she believes in sharing the pain. Note: If using dried fruit, soak the fruit in warm water for 30 minutes. Mix together first 4 ingredients. Melt chocolate and butter. Add milk and vanilla. Stir to blend. Add to flour mixture, stirring well until batter is smooth. Mix in chocolate chips/dried fruit/nuts. Pour into greased 8” x 11” pan. Combine remaining sugar, brown sugar, cocoa, and instant coffee. Pour evenly over batter. Pour cold espresso over sugar/cocoa mixture. Bake for 40 minutes. For an even more decadent dessert, serve with a scoop of java chip ice cream. Just plan to diet for the rest of the month.